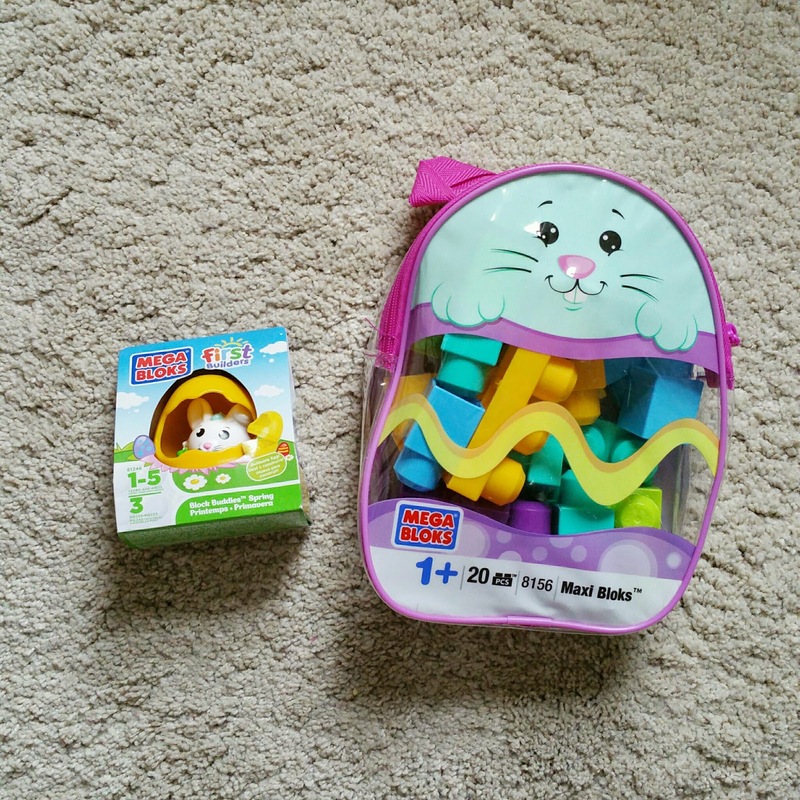 Today I thought I'd share with you what I have put in Darcy’s Easter basket this year. After browsing my beloved Pinterest for ideas. 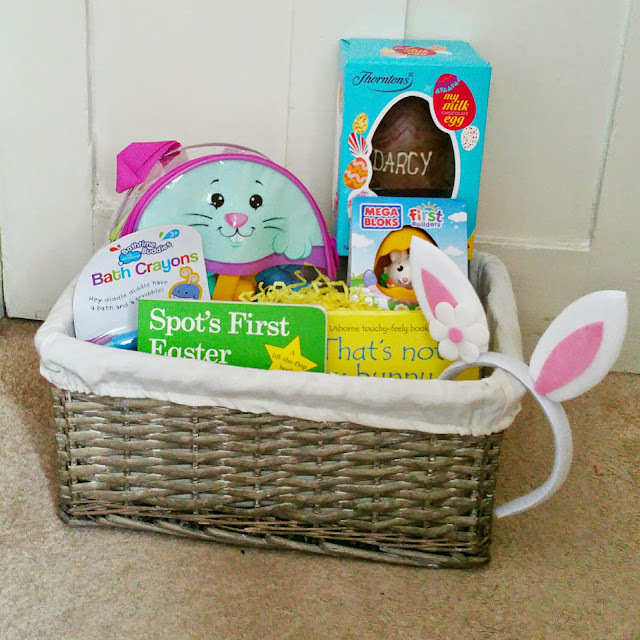 I decided to give it a go, I wanted her basket to be a mixture of practical and fun things. Hopefully her Easter basket will be another little tradition for her. 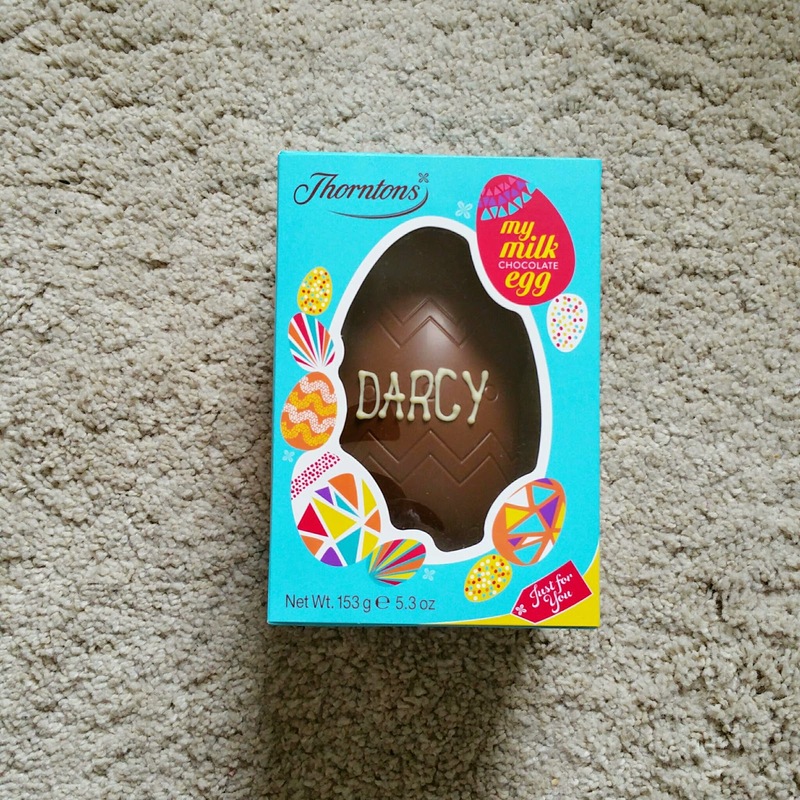 First of it has to be her Easter egg, YES it’s big but I'm a sucker for anything personalised. I got this egg from Thorntons. I hardly ever give her chocolate or sweets so I will be breaking it into pieces and putting it into the freezer, so she can have a bit here and there. Darcy enjoys reading books and is building up quite an impressive collection. I think it's important that Darcy has books. 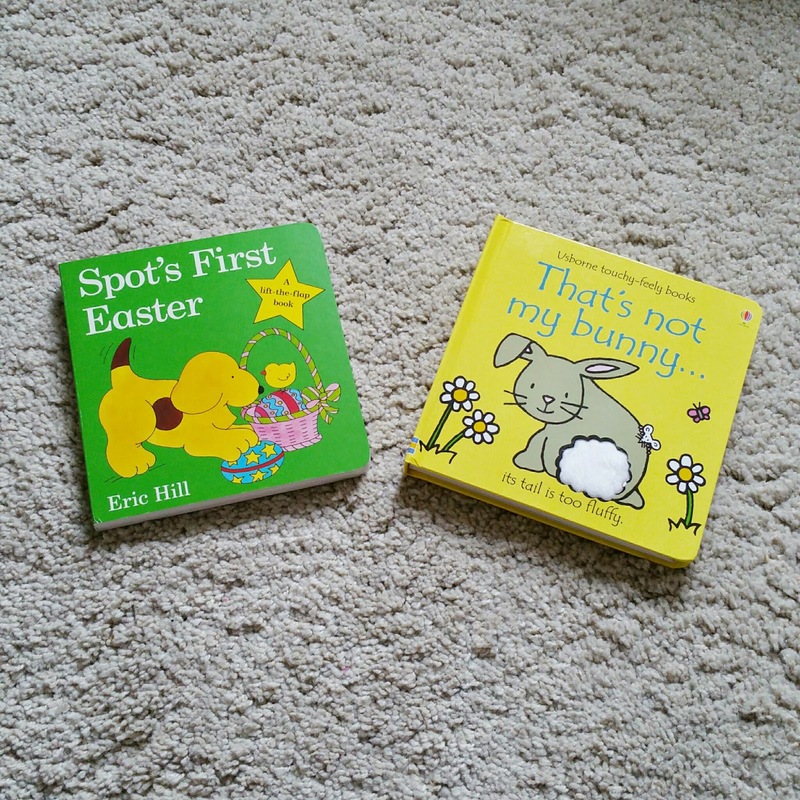 I ordered these two from The People Book club, they also have great offers on. After getting Darcy the Mega Bloks First Builders set for Christmas I thought it would be a great idea to add to her collection when I can. I found these on the whim if I’m honest from Ebay. 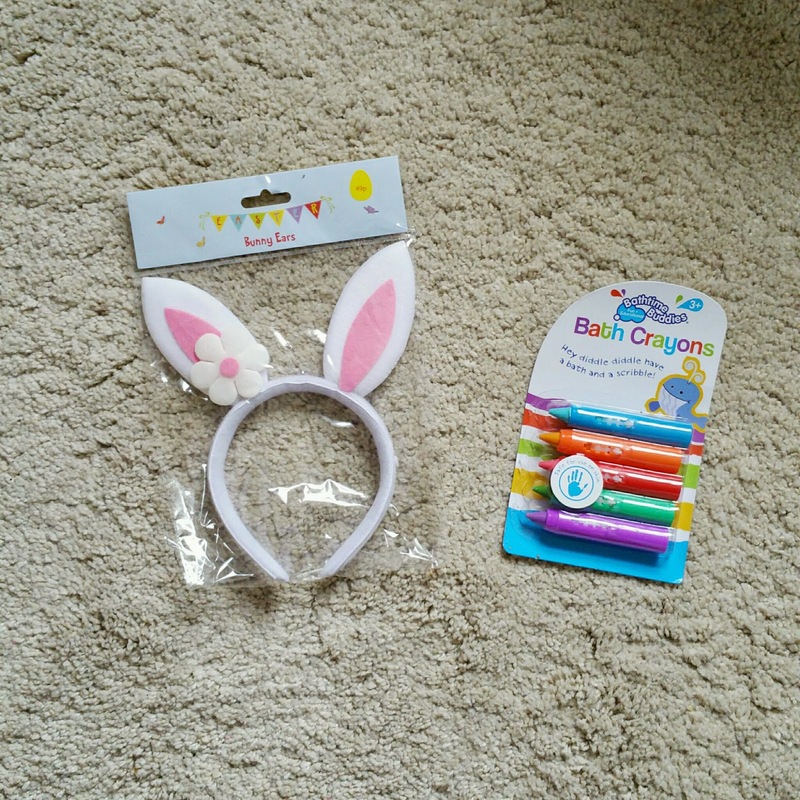 Whilst in Home Bargains I came across these cheap and cheerful bunny ears, I doubt Darcy will wear them for any longer than a minute but she will look cute wearing them for sure. I also got her some bath crayons as she is starting to enjoy drawing. And this way I know for sure she won’t be drawing on the walls. 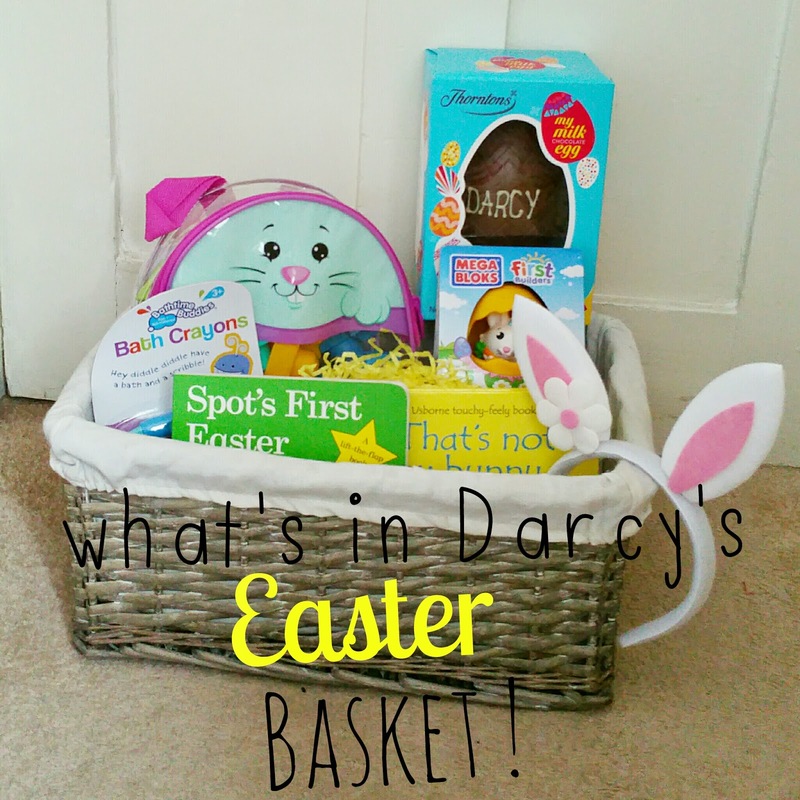 So there you go… Darcy’s first Easter Basket! What is the Easter bunny bringing your house this year? What Darcy Does | 15 Month Update!